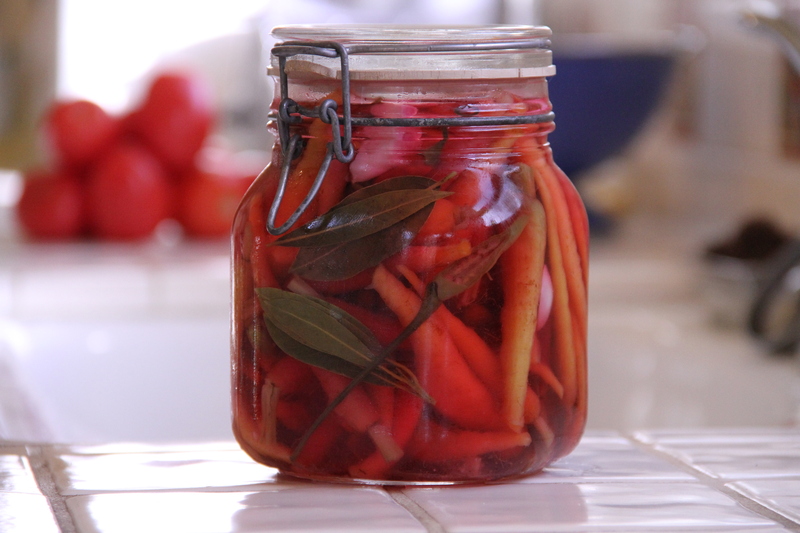 One of my springtime traditions is to go to the Hollywood Farmers’ Market and buy the first crop of baby carrots in assorted colors and pickle them. This is an easy ritual to maintain because the process is easy and quick. What’s better is that the result is as beautiful as it is delicious. I don’t peel the carrots so that they retain their color. I do give them a good soaking and scrub. The recipe that I’ve adopted comes from David Lebovitz’ site have have made a few adjustments by adding sliced ginger grass and Thai chilis. 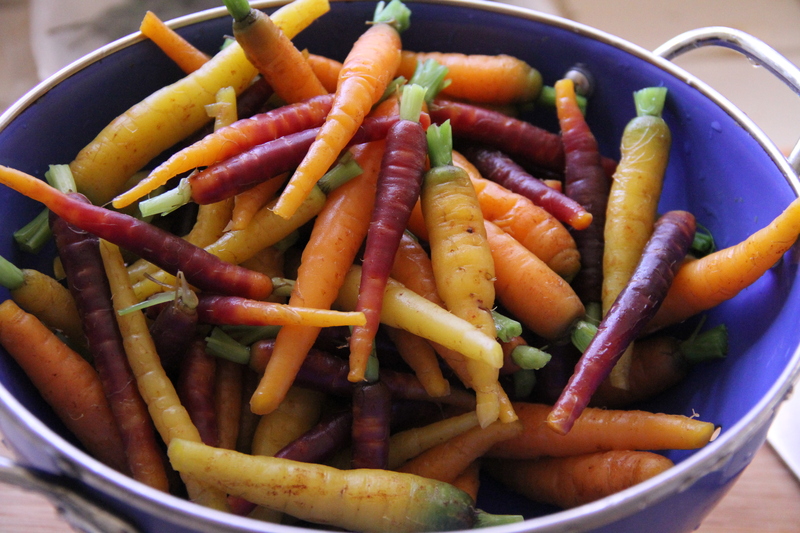 Fill a pot large enough to hold the cleaned carrot with water. Bring to boil. Dump carrots in. Bring the water back to a boil and cook for 1 minute. Drain and cool with cold water. Add the rest of the ingredients into the now empty pot. Bring to boil and simmer for 2 minutes. Turn the heat off and add carrots. Let sit in brine until room temperature. These will stay up to a month if refrigerated. NO SUCH THING AS GINGER GRASS! Absolutely correct, my bad. It should be “lemon grass”.